so i didn't get you a father's day present. i do not usually remember father's day and mother's day in time to send presents and cards. and i know that i conveniently forgot father's day for a few years in the 90s. and i wanted you to know that i am glad you are my father. and it is only in the last year that i had the realization that this day, every year, must be hard for you because your father passed away when you were younger than i am now. and i guess because i think of him as my grandfather, the man i will never have the chance to meet, the man with a voice i will never hear, the man with hands i will never hold, i simply did not think of him as your father. but then, when grandma died, i began to understand. every day, in some way, you must miss him. and every year, on this day, you are reminded. i am glad you are in my life. this is one of my favorite pictures of the two of us. 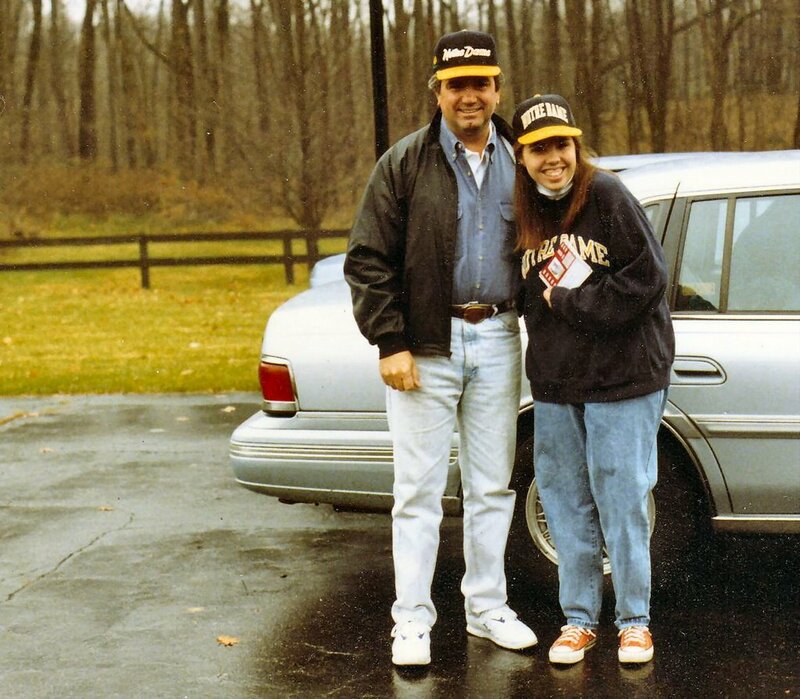 getting ready to leave for the notre dame/florida state game in 1993. i miss moments like this. but we grow up and relationships shift, for many reasons. but i am glad that this moment was captured to remind me of the time before i was too grown up, before things shifted. and i am glad that in the last couple of years they have shifted again. and we both have remembered.